Waterford, although originally a Quaker settlement, has been the home of a variety of congregations during its history. Today, however, there are only two active congregations: Baptist and Presbyterian. Built in 1761 and 1771, it sits on the site of the original 1741 structure. The size of the meeting house testifies both to its importance in community life and to the large number of Quakers who worshipped there at the time. The meeting was "laid down" in 1929 because there were so few Friends left in Waterford. 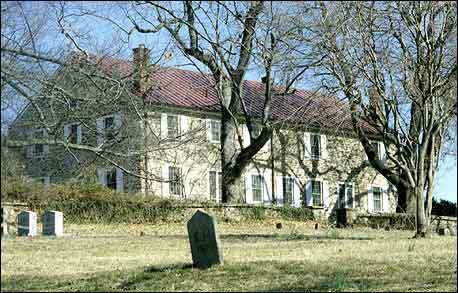 The Catoctin Presbyterian Church was organized in 1764-1765. The Presbyterian Society purchased the present site in 1814, and a church was built some time later. 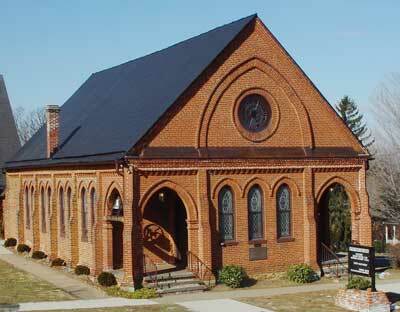 That building, used by Methodists and Baptists as well, was burned in 1883, and the present church constructed. The educational wing was added in the 1950s. Just when the first Methodist church was established in Waterford, or by whom, is not known; however, Methodists were a strong congregation in Waterford by the 1840s. Many of their members were expelled Quakers. This church, built in 1879, was finally closed due to lack of members. 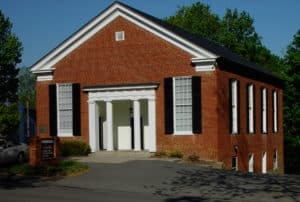 Despite the fact that Baptists were among the earliest settlers in London County, they did not appear in Waterford as a congregation until about the 1850s. However, this fine Greek Revival church seems to indicate a strong congregation at the time of its erection in 1853-1854. 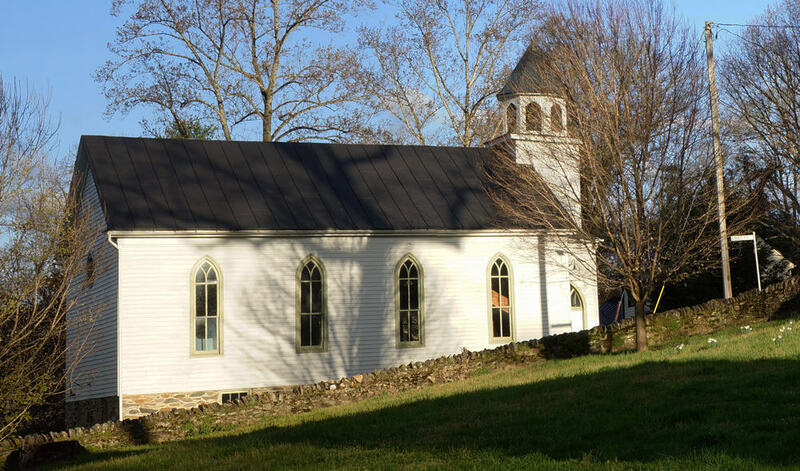 Badly damaged during a Civil War skirmish between the Independent Loudoun Rangers and the Confederate forces of Captain Elijah White in 1863, it was rebuilt circa 1876. 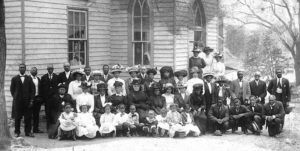 The John Wesley Methodist Church served the black community continuously from 1891 until 1968.